Every year Paper Dragon USA publishes a package of test questions for various state award book lists from which students read the books and then compete in book battles and other activities. 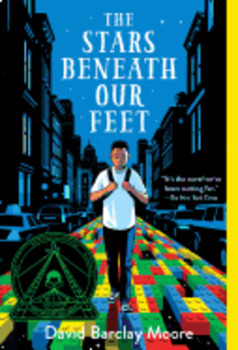 The Stars Beneath Our Feet is currently on the Illinois, Indiana, North Carolina, and Tennessee state lists and contains 25 thought-provoking multiple choice questions, two Bonus questions, and one Discussion question. This test questions package comes with both a Teacher's Master Set (with highlighted answers and page/paragraph references) and a reproducible Classroom Set.